Challenge's the notion "American Exceptionalism"
What did you love best about White Trash? 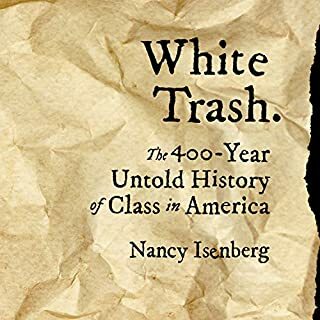 The author's account of Classes in America is done in a chronological manner from Jamestown and early New England settlements up through early independence, the civil war, turn of the 20th century, WW1, WW2, LBJ, and today. The book was based on the writings of influential writers, forefathers, politicians, Hollywood and Presidents of the times. The topic challenged the very notion of American exceptionalism.